It’s not news to many that LED adoption is picking up pace across the UK and the rest of the world, and it’s no surprise when there are huge cost savings and efficiencies to be made. The US energy body, Energy.gov, expects that by 2027 use of LED lighting could save the US 358 TWh of power. For security, and other reasons, there is often the requirement for lights to be on all the time. This is both costly and not very eco-friendly. LED lighting is often perfect for schools and academies as it not only provides energy and cost efficiencies, but it can also be a low maintenance form of lighting as typically it has a longer lifespan than conventional lighting. Where lighting is needed on huge scales, whether it’s in supermarkets, factories or warehouses, LED lighting brings many benefits. Cost savings being a key one of course, but also the lower maintenance needed is a huge bonus too. A common problem with large scale walk in freezers or cold rooms is the lighting needed to make them useable also heats them up, so there’s a constant, expensive battle on your hands between light, heat and cold. One of the key benefits of LED lighting is the reduced amount of heat it produced when compared to other light sources, making it very suitable for large scale fridge/freezers and/or cold rooms. In these cases the financial pay term can be as short as 3 years. Businesses and offices up and down the country are looking not just to cut the costs of their energy bills, but are also keen to reduce their carbon foot print and reduce maintenance costs. LED lighting adoption by businesses covers all these points. 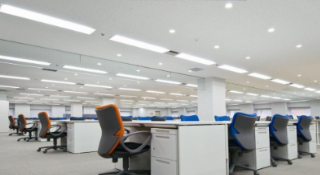 The upfront costs needed to install LED lighting are often significant making its adoption a little daunting for business owners or those in control of company finances, but the financial gains more often than not outweigh the initial cost outlays. Arkle is experienced in providing finance solutions for renewables and energy saving solutions, including LED lighting installation. Suitable products include Hire Purchase, Finance Leasing and Operating Leasing. If you are looking to finance LED lighting installation, get in touch with us to see how we can help you and how we have helped others too.